Autumn has officially arrived and it's time to deck the hall with all things fall! 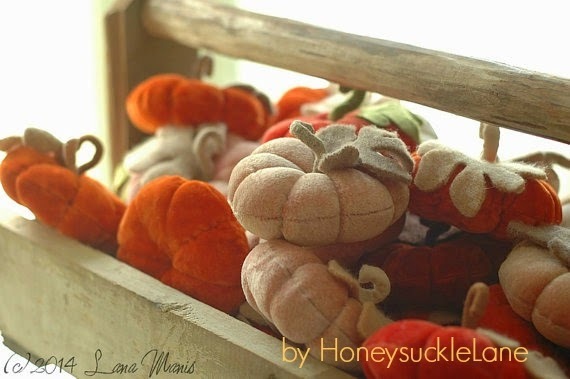 Time to pull out the pumpkins, air out the woolens, and fill vintage bowls with candy corn. The Etsy up-cycle artists are busy crafting perfect autumn accessories! 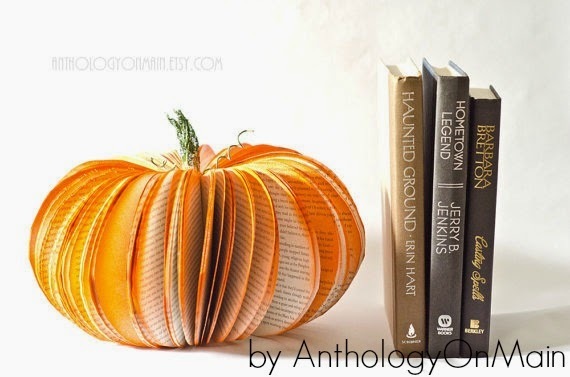 Paper pumpkins are the star of the harvest at AnthologyOnMain! Every item in this shop is created from old books and portions of every sale go to help feed underprivileged children. This truly is a magical pumpkin patch! Fill the halls with the enticing smells of autumn. 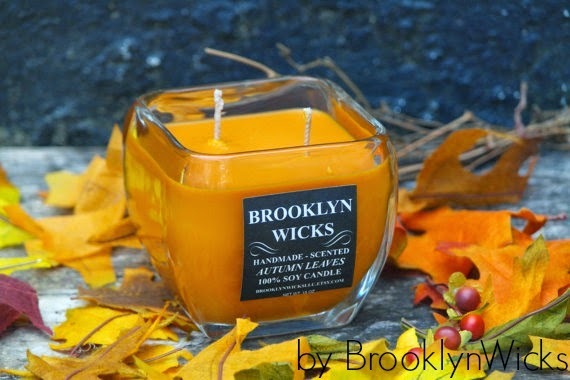 BrooklynWicks fills reusable glass containers with micro batch soy candles. Choose from scents like autumn leaves, pumpkin chai latte, and praline pecan cupcake for starters! Tiny pumpkins in velvet add to the rich textures of autumn décor. Perfect for small scale decorating, grouping with gourds as a centerpiece, or outfitting an entire celebration! Score these velvet beauties at HoneysuckleLane. 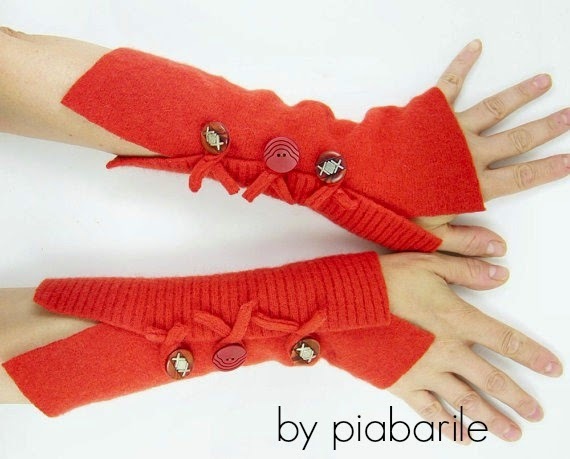 Keep fall hands warm with a stunning pair of fingerless gloves from Piabarile. Shop this artist's store for all things warm, cozy, and fully functional for fall. For more fabulous autumn finds search recycled fall on Etsy.